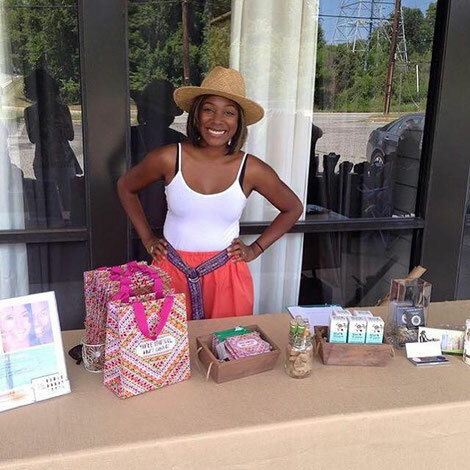 So, this weekend I took my e-commerce business offline and hung out in the hot, hot August heat for the day as a vendor at the Fashionista Flea market in Bowie, Md. I'm so glad I did because the high temps did not discourage the serious shoppers from coming out and I had the pleasure of meeting some of my customers, whom I like to call "Messenger Beauties," in person. It was a phenomenal experience and I'm so thankful for everyone who came out. Shout out to Janet! She bought five of my "You're Beautiful" totes for her staff, amongst other things. Making people feel beautiful on the inside out is something I truly enjoy and I was so glad to share with everyone whom I met this weekend.